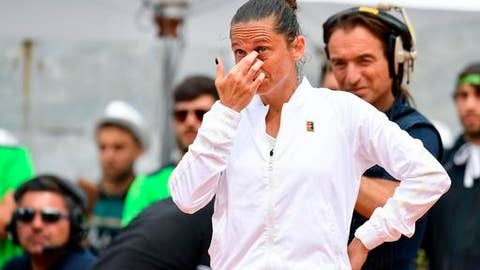 ROME (AP) Roberta Vinci does not want to be remembered solely for beating Serena Williams in the 2015 U.S. Open semifinals, which prevented the American from completing a calendar-year Grand Slam. Yet the 35-year-old Vinci acknowledged she still looks back at that match against Williams and wonders how she managed it. In Fed Cup, Vinci teamed with Pennetta, Francesca Schiavone and Sara Errani – each of whom also reached Grand Slam singles finals in a golden era for Italian women’s tennis. As usual, Vinci relied on her unique style featuring a one-handed backhand slice, looping groundstrokes, and tactical forays to the net. ”I had a difficult and different style of tennis. It’s old style,” she said. ”But sometimes it’s tough when you have to stay in good form, you have to run a lot, and you have to think about every single shot.